As vital as Jerusalem is to the Bible story, Jesus spent very little time there — three or four brief visits besides the final week. 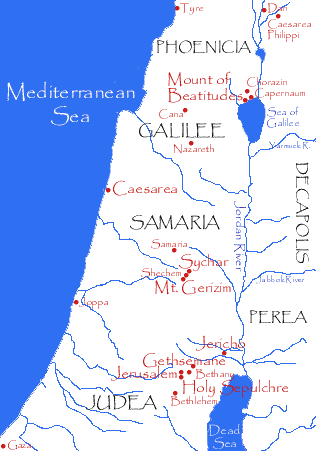 Most of the time he lived 70 or so miles to the north, among the green rolling hills, rich garden valleys and gentle mountains known as the Galilee. Israel is a small land geographically: only 150 miles north and south from Dan to Beersheba, 28 miles wide in the Galilee and 54 miles west-to-east at the Dead Sea in the south. 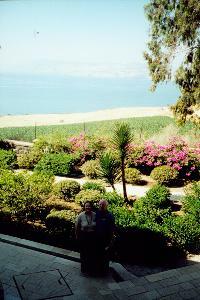 Clustered around the Sea of Galilee are Nazareth, where Jesus grew up; Cana, where he turned water to wine; Capernaum, where he preached his first sermon; and Chorazin, whose residents refused to accept his messiahship. The area reminded me of Middle Tennessee, or perhaps of Vermont, which is approximately the size of the Holy Land as well. 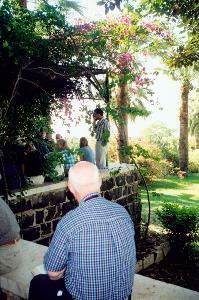 On our second Sunday in Israel, we gathered outdoors for worship on the Mount of the Beatitudes. 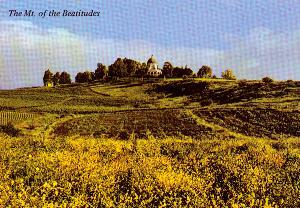 On that small mountain, the only one in the region overlooking a plain capable of seating a “multitude” (Matt. 5:1; Lk. 6:17) surrounded by living bouquets of flowers and looking over the sky-blue Sea of Galilee, we read from the Sermon on the Mount (Matt. 5-7) and shared a Communion — pilgrims from Churches of Christ and Bible Churches joined by one faith in our common Lord.